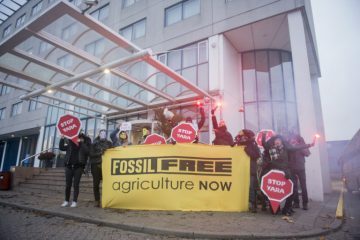 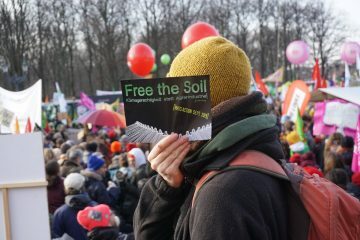 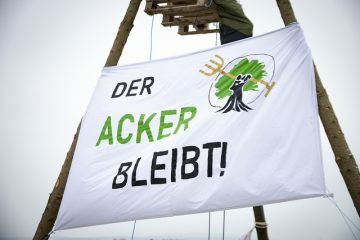 On Saturday 19th of January activists from ‘Free the Soil’ and ‘Fossil-Free Agriculture’ joined the more than 30,000 demonstrators at the ‘Wir Haben Es Satt’ demonstration in Berlin, protesting against the so-called ‘Green Week’ agro-industry conference and calling for a just and sustainable food-system. 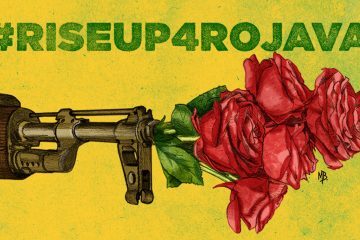 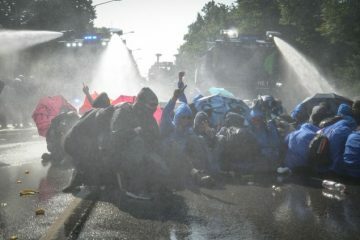 Hambacher Forst: Solidarity with the anti-gas resistance in Brunsbüttel! 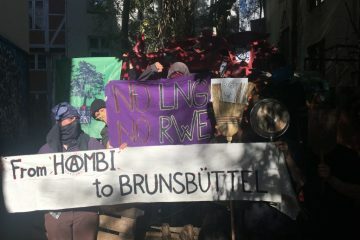 Plans of a new LNG Terminal to be built in the city of Brunsbüttel, have made local groups resist! 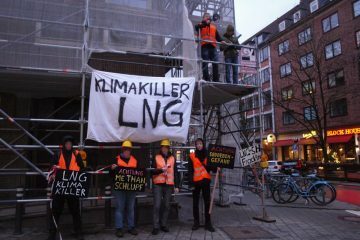 The plan is to open Brunsbüttel port up for bringing LNG – Liquefied Natural Gas – all the way from Qatar and the US. 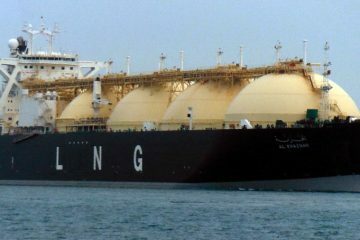 The local group states a claim to be included in the planing process and wants to work for an overall rejection of the plan of the LNG-terminal. 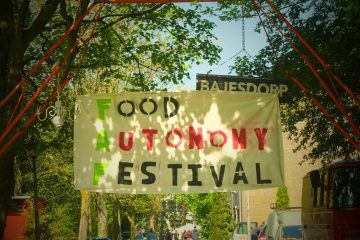 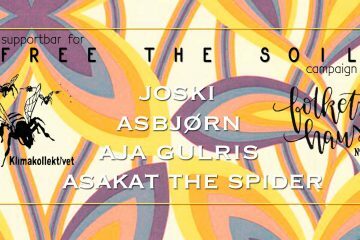 Free The Soil actively supports this local struggle in Northern Germany by having signed an open letter to the town hall of Brunsbüttel.